And we're finally getting a "dark mode." Approximately 400 hours of video are uploaded to YouTube every minute. Soon, its desktop website will be getting a makeover to make combing through all those cute cat clips a bit easier. 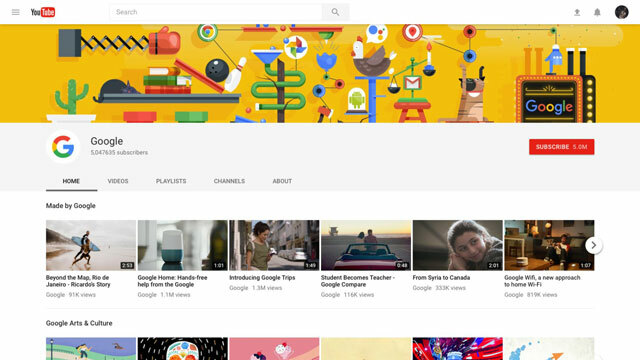 Google announced on Tuesday that it is refreshing the look of its desktop site by applying its material design aesthetic to the site, basically flattening the UI. 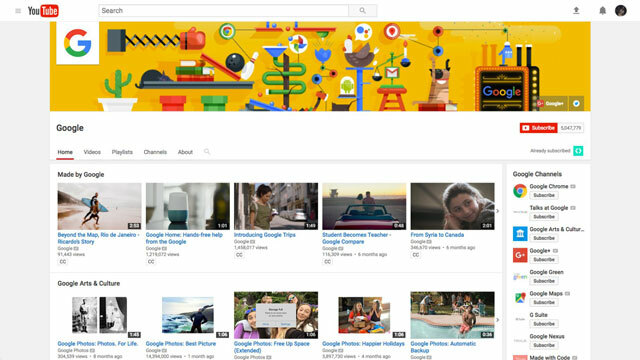 "We want to make content the star," Fred Gilbert, Head of User Experience at YouTube, said during a recent interview. "Everything else should recede from that." That means the grey background behind the video lists will be going away, the link text is switching from blue to black and the thumbnails themselves are being enlarged. You'll also see less emphasis on the left-hand navigation bar. 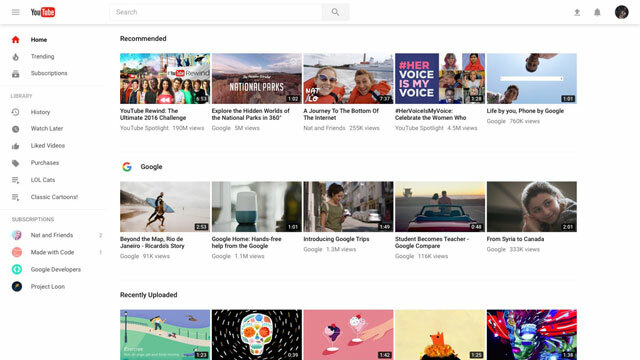 The YouTube logo and home buttons are shrinking and the subscription and library sections have been streamlined. What's more, the language options at the bottom of the page have been moved to the user drop down menu, in its place you'll instead get even more videos. A nearly limitless number of them in fact because the site is implementing infinite scrolling. 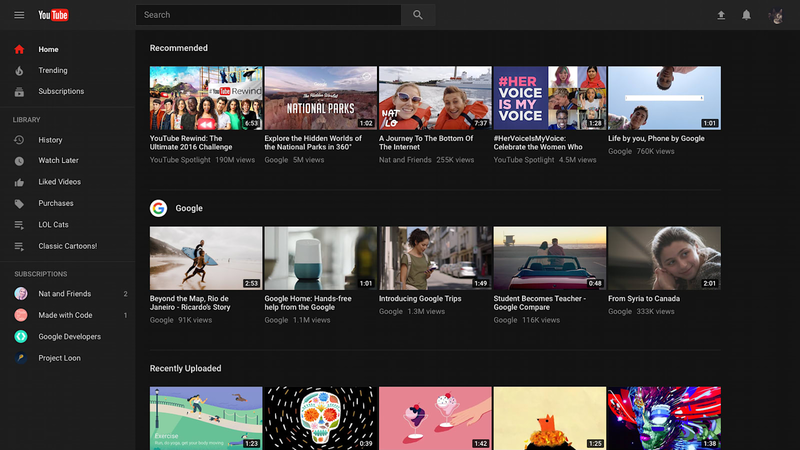 Even better, YouTube is also testing a feature that users have been clamoring for for years (and recently uncovered): Dark Mode! Now you won't burn out your retinas while trawling YouTube in a dimly lit room. Channel pages are also going under the knife. The recommendation bar that used to live on the right side of the page has been hidden so that the video lists now stretch across the full width of the page. The header section will also span the breadth of the window with a more prominent channel icon and subscription button. But don't get too excited, this will initially be a very limited release. 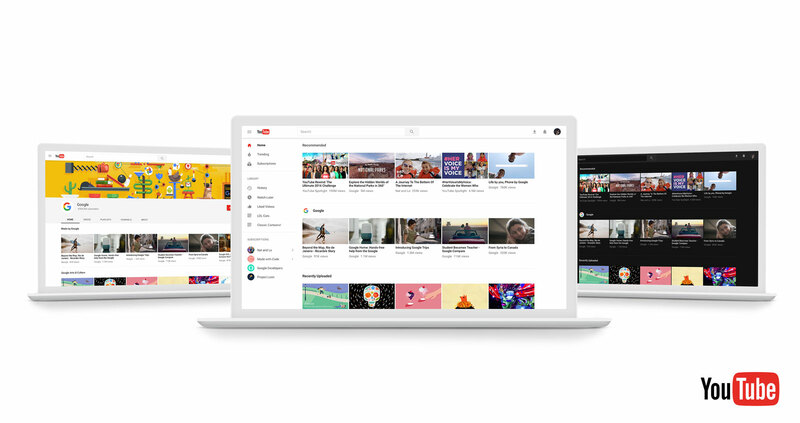 YouTube is just looking for feedback on the new design at this point and expects to further tweak the experience before releasing it to the general user population. "It's still early and there are still things that need to be done but we do want to hear [the users'] feedback," Gilbert explained. 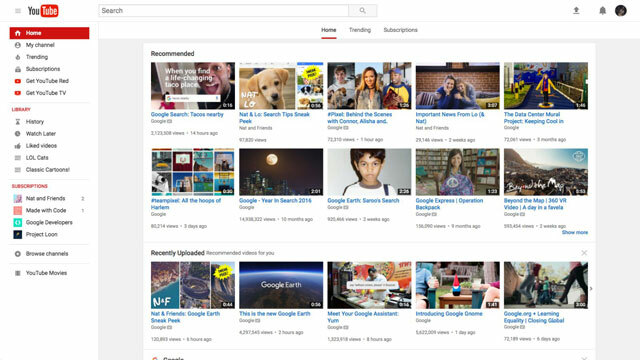 If you want to take a look at the redesign for yourself, head over to youtube.com/new.